Toronto Limo Rentals has years of history of exhibiting an outclass care for the customers. We are the center of attention from the very beginning till the end. So, we put in our endless efforts and hard work to guarantee all the luxury, style and efficiency that we promise to our customers. We take all the measures to control and enhance the quality of our limo services in Toronto. For that purpose, we keep upgrading our limosuines and party buses. By the end of the day, we want to see you fulfilled. We know, you want your loved ones, social acquaintances, and corporate persons travel with all the comfort and class that shows your status and care for them. In fact, our Limo Service is your support to build up, nurture and develop your public relations that are not only important to you. So, we never take our customers for granted. Rather, our innovative professionals are working day & night to provide you with the EXCELLENCE of services. Our efficiency is our strength. In fact, we keep our deals confidential and start working on them beforehand so that we are able to deliver our limo services affectively and on time. All of our limousines in Toronto are equipped with tracking software in order to confirm the status of our rentals, calculate the accurate. Thus, we set our time and reach our target places with punctuality and smoothly. Also, their spick-and-span presentation attracts all the hearts towards themselves. True Love needs its expression and hiring a wedding limo for yourself and your other half is one of the best expressions of love because wedding limousine doesn’t present a mere marriage transport but a promise to dedicated love and unprecedented care. Our wedding limousine comes up with the same promise and ambition so that your great moments transform into golden memories. We respect love, and, expression of love like Wedding Wows. 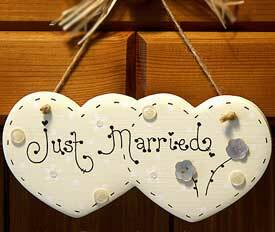 We want to be by your side through our diverse services until you become Man & Wife. Whether you need to hold a vintage marriage ceremony at countryside or want to tie the knot in a posh hotel in Toronto, we provide exemplary wedding limo service and range of vehicles to choose from. Both vintage and latest model cars and party buses are available that can be decorated as per the theme of the event. 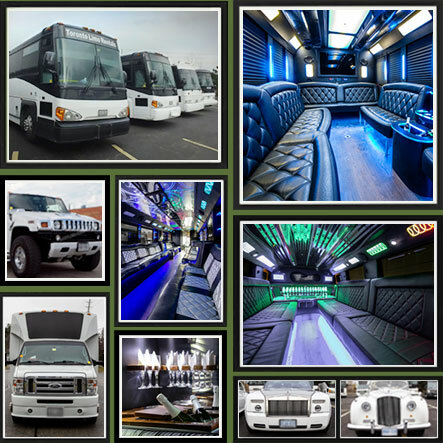 Our Party Buses in Toronto are all time ready to be at your service to provide you with a magnificent ride so that not only you travel elegantly, but also cherish your party time with maximum fun. We have been delivering party bus rental services in GTA for night out trips and hang out since long and our quality service has bagged us much applause and acclaim. Over the years we have turned out to be the Toronto's most favorite supplier of luxury transport for city tours and fun trips. All our party buses are loaded with exciting features and luxuriant amenities to let passengers enjoy every second of the joyful jaunt. 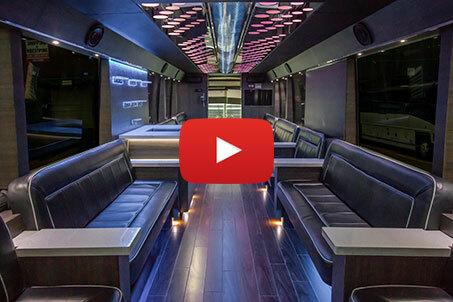 HD sound system, LED screens, marble flooring, premium leather upholstery, classy glassware, fine selection of beverages, light snacks, laser lights, tinted windows, and internet connectivity are some of the notable features that we incorporate in our party buses. 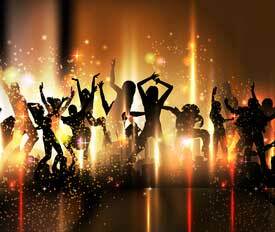 Hire us and make your next party a much exciting experience. 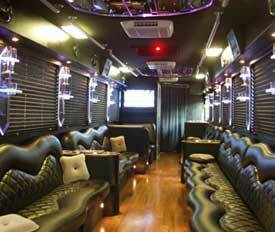 You can also book from our exclusive Toronto party bus website. A prom is surely an event to celebrate with all your high school friends and batch fellow. The prom night all about fancy costumes, sterling music and partying with buddies. 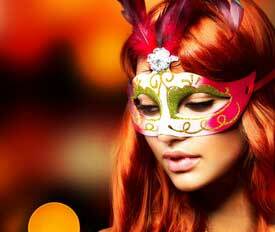 Hiring limo rental services for embellishing this special night is a common practice. High school graduates across Toronto desire to arrive at their prom night with style and class, this is reason we offer commendable prom limo and party rental services to the young enthusiasts so that they can literally live those joyous moments in the best manner. An electrifying prom party night ride accompanied with state of the art luxurious limousine is surely the dream of every individual. Toronto Limo Rentals support such desires of the young clients by offering affordable limousine services just according to their particular demands. Companies, firms and business agencies may require arranging black limousines to accommodate business meetings, corporate meet ups, formal gatherings, airport transfers and other events. We attempt to incorporate a touch of class and opulence in the corporate limo services. The entire limousine fleet is equipped with state of the art facilities and luxuries that could perfectly meet the esthetics of valued clients. Special attention is paid to preserve the privacy and comfort of the clients throughout the travel. This is why we train our chauffeurs in the most professional manner. Our specialized staff is always there to work with you all the way through. Give us a chance and see your business blooming day & night. When it comes to planning holiday trips and city tours, the most preferred choice remains Niagara Falls. Whether it’s a family trip, a Friends’ hang out, a wedding ceremony, wine tour, or a milestone birthday bash, Niagara Falls never disappoints and let the tourists spend a happening time around beautiful sceneries and exotic natural backgrounds. We make things even easier by rendering a unique and affordable limo service, from Toronto to Niagara Falls, that doubles the fun and let people roam around the town in style. We have been serving the client population in the Niagara region since long and our exclusive limousine and party bus service has graced many grand events and functions held in the area. We continue to extend our well-appointed limousine service to tourists and locals and promise to make the events and tours truly memorable ones.